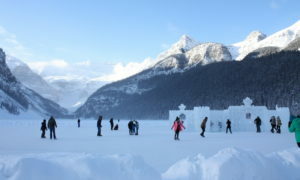 Note: a version of this post was published on the Travel Alberta website. Our family loves doing adventure activities together. We have zip lined in Nicaragua, snorkeled on the Great Barrier Reef and taken surf lessons in Sydney. As the kids get older the opportunities to participate in extreme sports and adventure activities is increasing and we are always looking for new things we can do together. 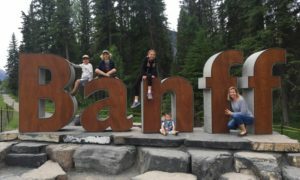 On our recent trip to Banff, Alberta and the Canadian Rockies, we wanted to take advantage of all the active activities – hiking, biking and maybe white water rafting. 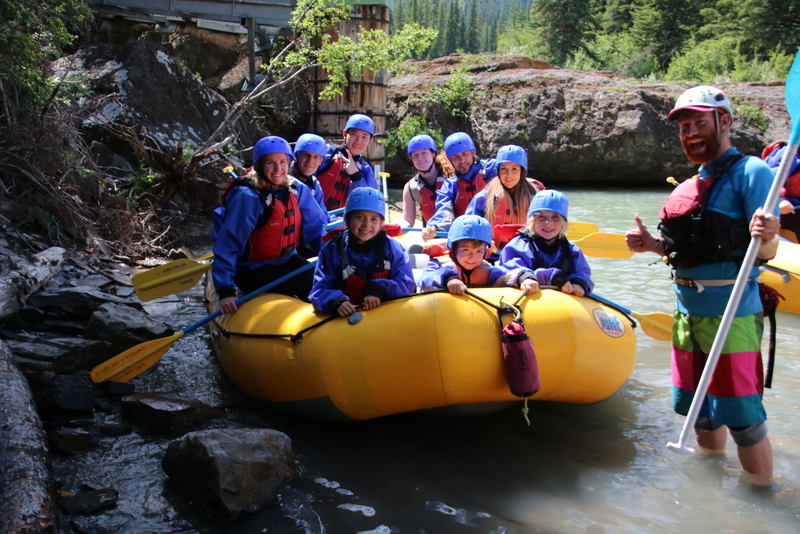 Many white water rafting trips require kids to be 13+, but we were so excited to find Chinook Rafting where kids from 5 years old can participate in the Class II and III white water experience. Chinook Rafting offers a few different trips, but the milder Kananaskis River is the best (and only) choice for families with younger kids. Our family got an adrenaline rush and got to enjoy the iconic Canadian wilderness on this trip. We paddled hard, we got really wet, we splashed other boats, we laughed a lot and in the process created memories that we will have forever. 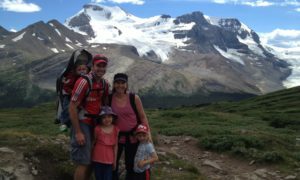 Our trip allowed us a backcountry experience as a family, without any expertise or equipment needed. 4.1 Enjoyed Reading this Post? SIGN UP for more. Chinook Rafting offers trips for children ages 5 and above and the whole family loved the thrill of the Class II and Class III rapids. 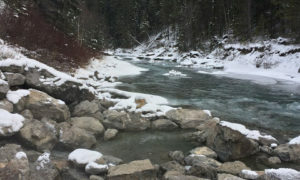 The Kananaskis River is fed from the mountains and glaciers of the area and the water is very cold. Even though it was a sweltering summer day, we were geared up with wetsuits, booties, and splash jackets, which were definitely appreciated once on the river. Our guide put the kids up front, which is the safest part of the raft. He called them his “wave breakers” and they took their role quite seriously. The front is of course the place you get the wettest as you ride the rapids down the river. Our kids love adventure activities and from the constant smiles plastered on their faces, there was no question they loved the experience. During the gentler rapids, they tried their hand at paddling and peppered our guide with questions. Our tour operator, Chinook Rafting had kid sized gear and extra layers of thermal clothes to keep the kids warm in the chilly mountainous river water. While white water rafting is an adventure sport with some risk, I felt completely safe with the kids on the raft thanks to our guide’s expertise. He checked in frequently with the kids to make sure they were enjoying the experience and expertly navigated us through the rapids. After a thorough safety briefing, we met our guides and excitedly headed out on the river. The trip starts right away with Class II and III rapids where the Canadian Olympic white-water team trains. The kids rode in the front breaking the waves, while we followed our guides commands. Forward paddle, stop, hold on, get down! We surfed a few of the rapids, we spun down some of the rapids and celebrated our success after each rapid with a paddle high five. The second part of the river was a gentler ride where we had the opportunity to indulge in some good old-fashioned water fights with the other boats. It was also an opportunity to sit back and really appreciate the wilderness we were floating through. No civilization in sight, just endless forest and mountains and the sounds of birds and the river. Our guide Dave pointed out some interesting things like the holes in the riverbed walls where birds nest and the effects of the 2013 floods on the river. It was also a chance for us to get to know our raft mates from all over the world. Towards the end of the adventure, we got to jump in and drift to our exit point in the chilly, take your breath away waters. It was a treat to get back to base camp and enjoy warm drinks and snacks as we excitedly re-lived our adventure through the professional photographer’s photos. Chinook Rafting will then return you in their shuttle bus to Canmore or Banff if you require transportation. There really is no better way to appreciate Alberta’s pristine wilderness then white-water rafting down the Kananaskis River as a family. Our hearts were pounding with exhilaration and we felt a sense of accomplishment and teamwork as we successfully navigated the white-water. From the shrieks of laughter on our raft, it was hard to tell who was having more fun: the kids or the adults. The Chinook Rafting Kananaskis White Water Rafting trip costs $94/adult, $59/child (5-15) and runs from 1:30-5:30pm. You have 1.5-2 hours directly on the river. They can organize transport for you from Banff or Canmore or you can drive to the headquarters. We loved how the professional photographer’s photos were included in the price (all my photos in the post are from the photographer). I wish I had brought my go pro as they have helmets with go pro mounts to capture the action on the river. Disclaimer: We were hosted by Chinook Rafting on this tour. As always, all opinions are our own.